It may be January, and ya’ll may be on healthy diets…but Valentine’s Day is right around the corner and you better believe we all drop our diets for dessert. Am I right? When we lived in Ohio there was this ice cream shop that served a delicious soft serve Orange Twist cone. It was Orange Sherbet swirled with Vanilla Ice Cream. Much like a Creamsicle, but served on a cone! 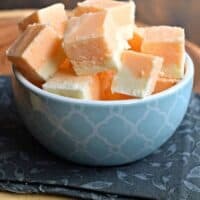 You only need a few ingredients and knowledge of how to make vanilla fudge to make this Orange Creamsicle Fudge. Add your white chocolate chips and marshmallow cream to a mixing bowl before starting (no need to stir, just dump them in there). 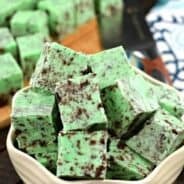 After 4 minutes, pour this hot mixture over your white chocolate chips and marshmallow. Using an electric mixer, blend until smooth (and white chocolate is melted). Mine takes about 1 minute. Immediately pour HALF OF THIS MIXTURE into prepared baking dish. To the remaining half, add your Orange extract and 1-2 drops of Orange gel food coloring. 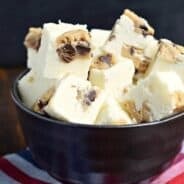 Mix until smooth and pour this quickly over the white fudge in the dish. REFRIGERATE for 3-4 hours until firm. Slice and enjoy. This can be stored in an airtight container at room temperature, however, I LOVE the Orange Creamsicle flavor chilled! I think I’ll save this one for the summer (or a summer-inspired party), but I LOVEEEE creamsicles and can’t wait to make this. Pinned! 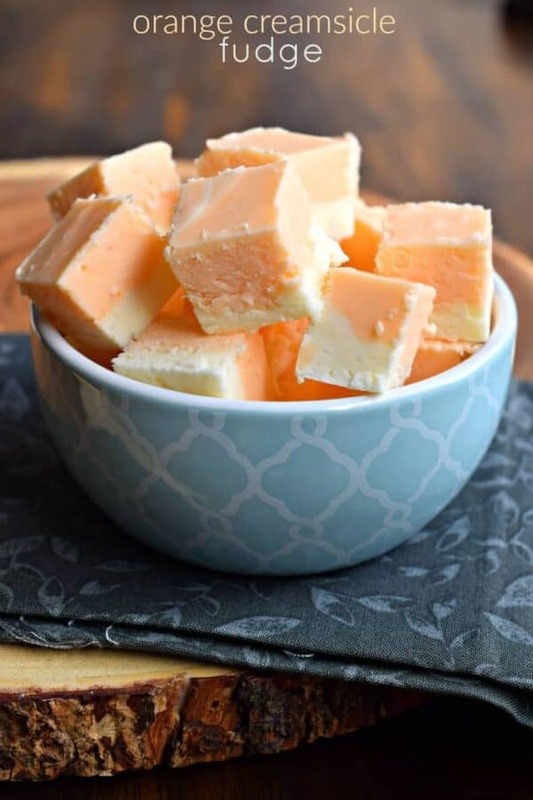 This orange creamsicle fudge recipe first appeared in Taste of Home Book and also The Rutherford Electric Membership Corporation magazine that comes out every month. Maybe you were not aware of this…It first appeared around 12 to 15 years ago. My niece and I prepare this every Christmas…There were also a recipe for Rocky Road Fudge, and Peanut Butter Fudge which is delicious.. I have experimented with different flavors. 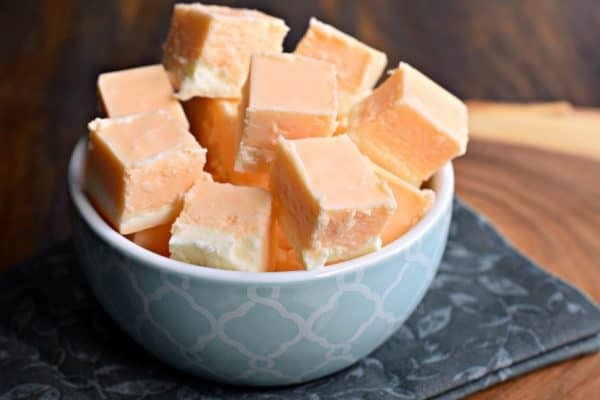 I have made Cherry, Raspberry, and Strawberry which all was really good…I made Pumpkin Fudge from a different recipe that turned out great… All the recipes turned out great!!! 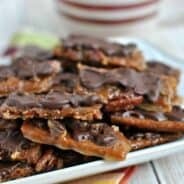 I will be happy to share these recipes, if you want them !!! 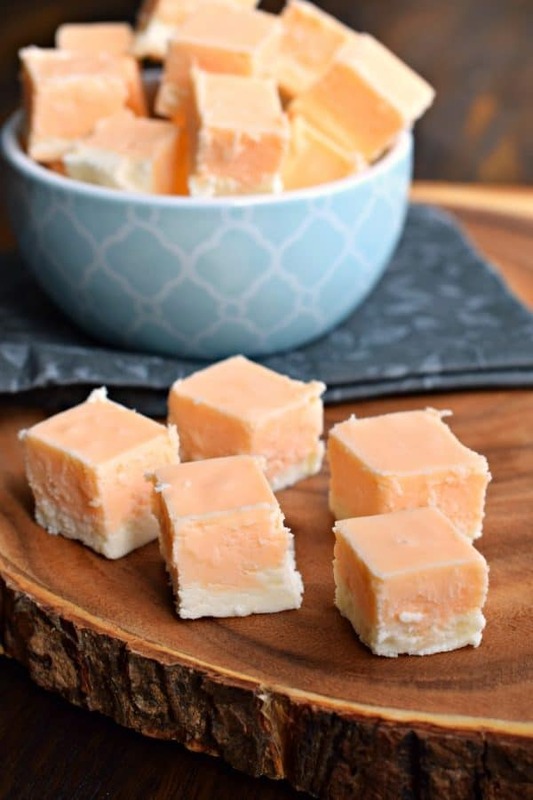 I will be happy if i can have the recipe for orange fudge.i have an orange orchard. I hardly know what to do with it. So beautiful ! I’m hooked. Thank you so much ! Your recipes looks beyond delicious. I’ve been craving some summer tastes and this will be it. Can’t wait to try it. Thank you for sharing the recipe!